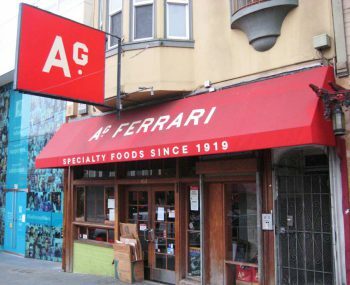 Italian deli and grocer A.G. Ferrari is closing the doors on all its shops after 98 years, in what the brand says is a move to focus on the national growth of its packaged goods. That includes four locations: Montclair Village and Piedmont Avenue in Oakland, and Laurel Village and SoMa in SF. The shop has been serving customers in the Bay Area since 1919. Ahead of this announcement, Berkeley’s College Ave. location was closed in February due to “high overhead costs,” and employees were redistributed throughout its other stores.